Summerlin is a 22,500 acre Master-Planned community on the edge of the Red Rock Canyon National Conservation Area. Developed by the Howard Hughes Corp., Summerlin is rated one of the best master-planned communities in all of the United States, and is a model for other communities across the US. In addition to all of the great places to live, Summerlin has outstanding schools, with more than half of them rated as 5-Star. Shopping opportunities abound, culminating with the opening of Downtown Summerlin in early October of 2014. Downtown Summerlin is the largest mixed use project in the US, and will house over 130 stores, office space, pedestrian space and eventually, 4,000 housing units. 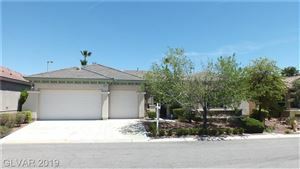 The Foster Beckman Group can help you find a home for sale in Summerlin! Our team of Las Vegas Real Estate Agents and home specialists at Foster Beckman Group are available to help you buy, sell or invest in Summerlin property. Call us today at 702-686-2695 to see how we can help you with all of your real estate needs.